Victoria Park Villas Singapore, a landed development you can't miss. This is because in terms of lifestyle or entertainment options, the surrounding areas around Victoria Park Villas more than deliver. 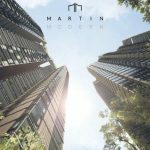 With nature heavy locales such as the Botanic Gardens and MacRitchie Reservoir – residents who enjoy being surrounded by lush greenery will have plenty of options to do so. Golfers will also be delighted by Tanglin Golf Course being only 3-minutes away. Ultimately, when it comes to living in an area rich in amenities and having a high investment value – you will be hard pressed to do better than Victoria Park Villas. To see the beauty of these residential developments yourself, call the showflat hotline to book an appointment today. View the location of this exciting new launch and see if you can find a layout that suits your family by visiting Victoria Park Villas Floor plans. I'm interested in Victoria Park Villas. Please kindly contact me.